By buying this product you can collect up to 20 loyalty points. Your cart will total 20 loyalty points that can be converted into a voucher of $5.00. 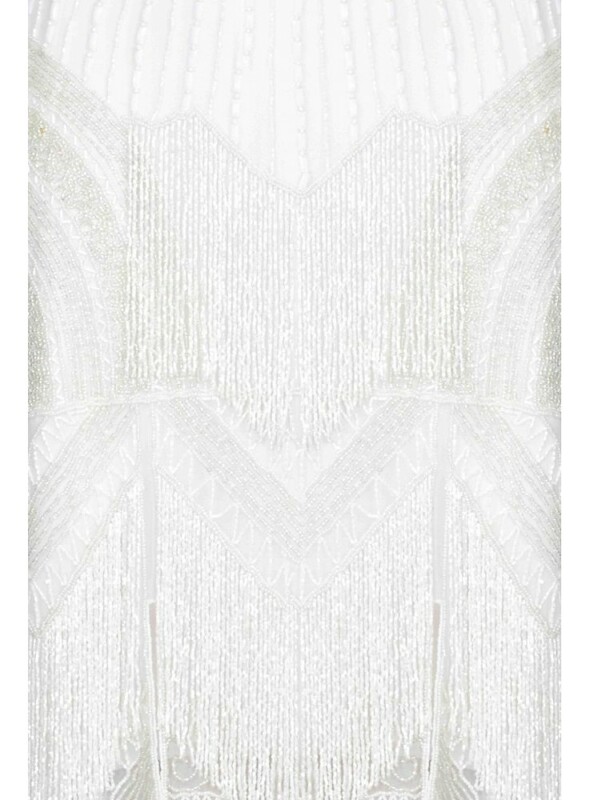 This boldly beaded and embellished 1920s Cocktail Party Dress in White will have all eyes on you. 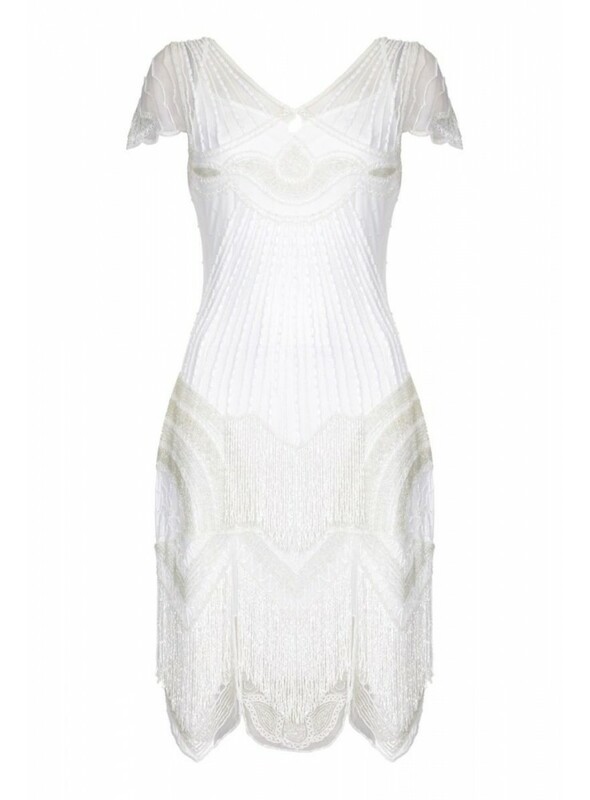 If you want to go bold and be the talk of the town, this flapper era inspired dress is for you.